European Blackjack is the “digital” version of the blackjack game. 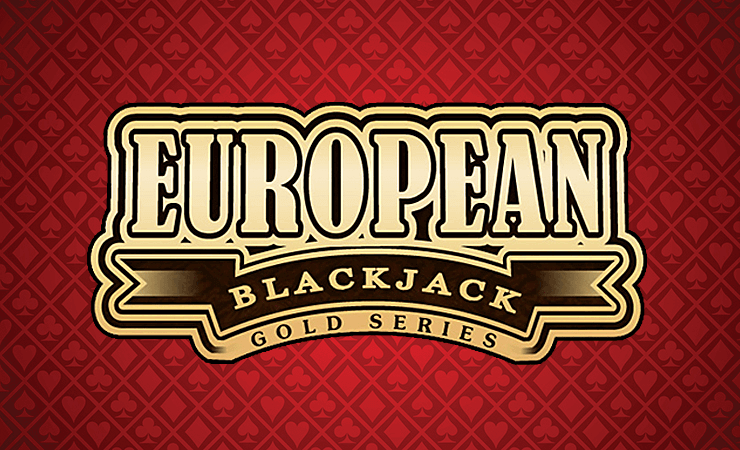 Despite its name being “European”, there are no different rules here – Microgaming released a very “normal” blackjack game. Your goal is to reach a total of 21 (or a total higher than the dealer) just like in the casino version. The interface looks like a real blackjack table and the overall graphical quality is satisfying. The controls are very cleverly designed too, to place a bet; you just click the bet area on the table. To increase a bet, you click on the chip pile. To decrease it, just hold Shift and click on the pile again. European Blackjack by Microgaming has an insurance system, which means that you can limit your losses if the dealer has an ace. The game pays 3 to 2, and the dealer must stand on a total of 17. You are not of course – you can hit or stand at any total you want. To start the game, click on the “deal” button. As you can see, your entry bet is set by the game and it is 10 coins. You can change this value by clicking on the chip pile and set it as 1, 5, 10 or 25 coins. You will get two cards after clicking on the “deal” button and see the total of your cards easily. If the dealer gets an ace, you will be asked to take insurance or not – we recommend taking it. After the first dealing, you are free to ask for more cards (hit) or stand with your current hand. The choice is yours, but it is advisable to stand if you have a total of 17. If you decide to stand, the dealer keeps drawing more cards. If the dealer gets 21 or a total higher than yours, you lose the round. If the dealer exceeds 21, you win. Click on the “rebet” button to try your chance in the next round with the same bet amount. If you want to change your bet, just click again on the betting section. European Blackjack is a fast and satisfying game if you like to play blackjack online. The payouts can reach very nice amounts, but if you are after the highest ones, this may not be the right game for it. It is a medium variance game which can be recommended to beginners. Play at Casino Ave for more card games!